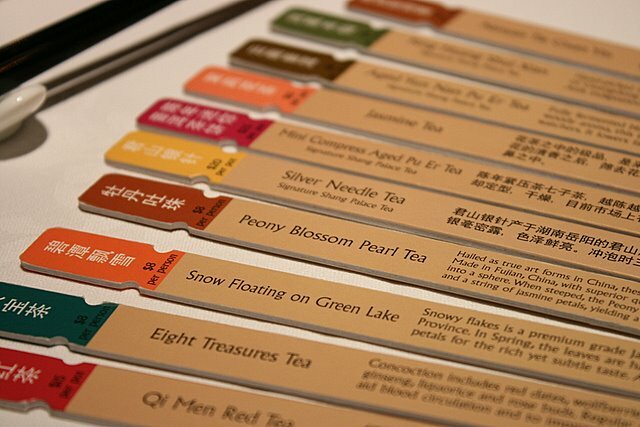 Shang Palace now features a dazzling array of gourmet Chinese teas. The "menu" is artfully presented like a set of divining or fortune-telling sticks - like the type you use at temples. Shake one out and that will be your fortune. How novel the way it is used here - letting the tea find its intended master? I pored over the mesmerizing descriptions, perhaps too leisurely. Hubby, meanwhile, simply decided that we will just have Tie Guan Yin. We always have that. Boring but it is safe. Hubby is somewhat allergic to floral teas, such as jasmine or chrysanthemum, the popular default at Chinese restaurants. But you know what? It was indeed the most sublime Tie Guan Yin I've ever had. Beautifully light and delicate with a mellow, almost fruity complex - it tasted like fairies had been singing in my tea! 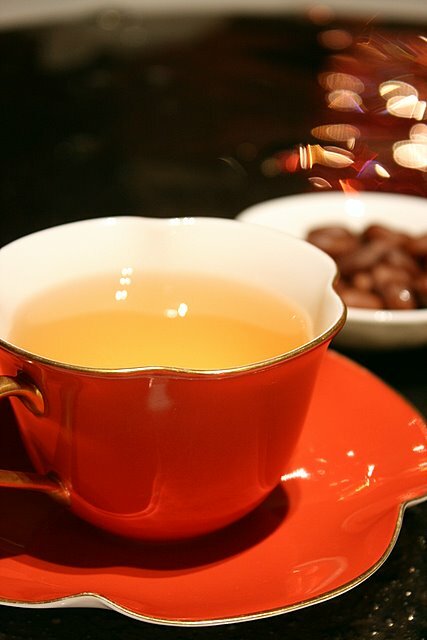 I normally know Tie Guan Yin to be a dry, robust brute great for mowing down alimentary grease. Today my eyes have been opened. I also found a Tea Masters blog describing the Nanyan Tie Guan Yin. 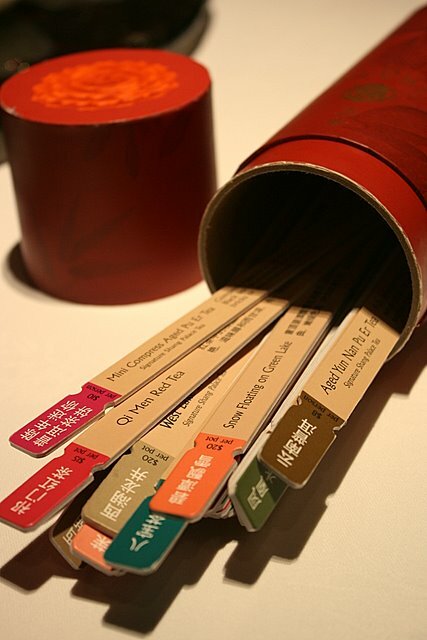 There is so much to learn about teas! I am quite intrigued and feel like hunting down this blend to have at home. I've tasted some pretty nice teas from my chinese colleagues. There's one with each individual leaf tightly rolled into a ball, very nice. Another looked like little pointy pine like leaves thats very unique "butterscotch" taste. I used to be such a strong coffee drinker hey. But recently, I've begun to appreciate tea a lot more. Everything I drop by Shanghai, I try to get to Hangzhou to stock up on my favorite Long Jing. That stuff is good. ooo... the tea sounds so tempting! Been drinking Longjing tea this end (Spain) as the weather is scorching for now. Yes, good tea can be so expensive. hahaha! yes, i am being teased here. lol! alright la, i guess the value of a stuff is whether you can appreciate it or not, i seen pricer tea before. Please let me know what country is this place in? Thank You. Anon: this is in Singapore. Sorry if it wasn't clear.